In 2008 I came across this brilliant movie, Eagle vs Shark. It’s a special brand of dry and awkward humour that’s only really appreciated by about 0.3% of the population and so of course I started using it as a social barometer. It’s how Sean went from ‘guy I’m sleeping with’ to ‘husband’ (we had no in-between). That’s not to say he didn’t shoot me weird looks during the movie, but he laughed in the right places and so I knew it was safe to fall in love. 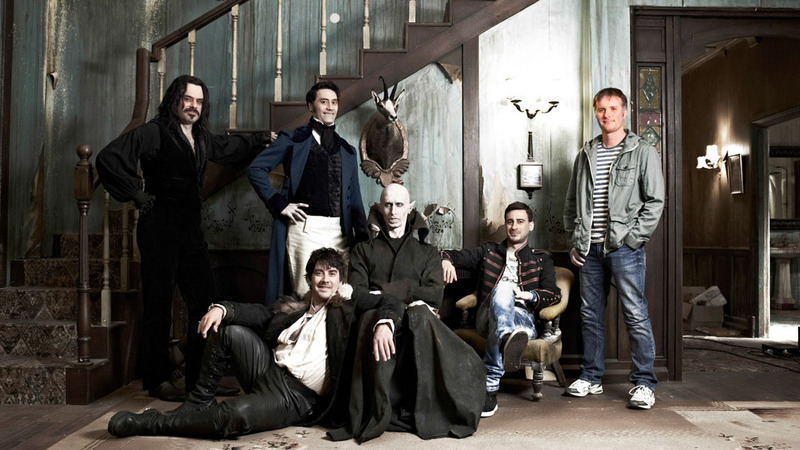 Taika Waititi wrote and directed Eagle vs Shark, bringing along pal and fellow countryman Jemaine Clement (of Flight of the Conchords fame) to star, and they’re back again with What We Do in the Shadows, sharing duties and screen time. It’s not easy to get such an offbeat comedy from New Zealand shown in North American theatres (I believe crowd funding was involved) so I consider myself lucky that one lonely theatre is showing it here in Ottawa. 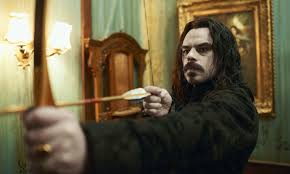 The movie is a mockumentary involving the daily lives of a small group of vampires who decided for better or worse to eschew the typical haunted castle in Europe route and room together in New Zealand instead. The documentary crew follows them as they encounter the normal highs and lows of flatting together, sorting out who does the dishes, who picks up the dry cleaning. A chore wheel goes unused. A couch that wasn’t red now is – one vampire suggests putting down newspapers before they eat someone, or towels, perhaps, but “We’re vampires, we don’t put down towels” responds another. Like The Real World, only they just happen to also be vampires, sometimes many hundreds of years old. The vampire genre might be overworked and overtired these days, but this one feels fresh and inspired, living up to the high bar set by Christopher Guest and the likes of Best in Show. My sides ached from constant laughter, the nicest ache I know. Waititi, Clement, and co-stars work really well together. It’s clear that tonnes of improvisation must have gone into this, the dead-pan delivery spot-on, the timing the best you’ll see. It never feels like a straight parody. It’s much too clever for that. Instead it finds humour in the mundane, staying for away from the obvious and easy but finding gold everywhere else. This entry was posted in Jay and tagged jemaine clement, mockumentary, offbeat comedies, Taika Waititi on March 9, 2015 by Jay. I’m so glad I passed the test! 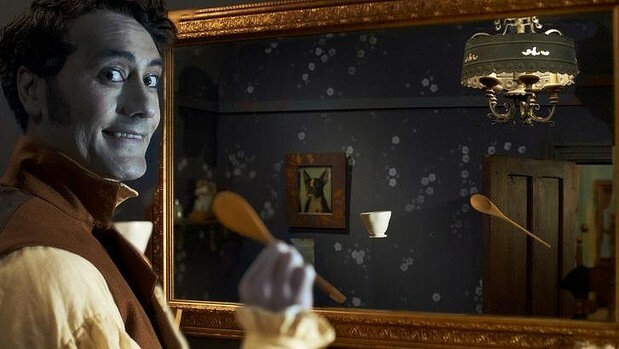 Eagle vs. Shark was very good and What We Do in the Shadows was very funny. I really enjoyed this one. Such a wonderully hilarious little film. I haven’t laughed this hard for a very long time. It really hit the spot for me and had genuine years streaming down my face. I’ve now aquired a copy of Eagle vs Shark as a result and can’t wait to see it. It’s not something that gets a lot of attention, so I’m glad it’s finding an audience. I’m sure you’ll love Eagle vs Shark. It’s painfully awkward but delicious.